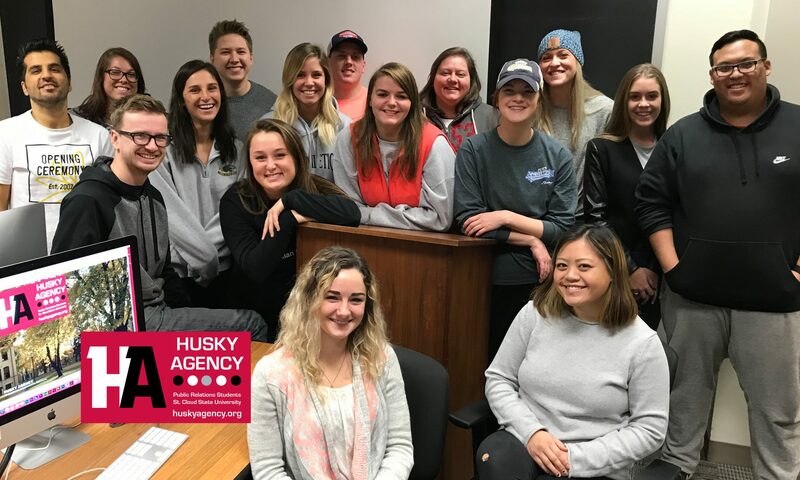 Service – Husky Agency is a student service-learning experience for aspiring public relations professionals at St. Cloud State University. Students work diligently with the agency providing public relations services to their semester-long clients. The agency debuted in Fall Semester 2016, launched by Assistant Professor Jannet Walsh with her senior capstone public relations students. 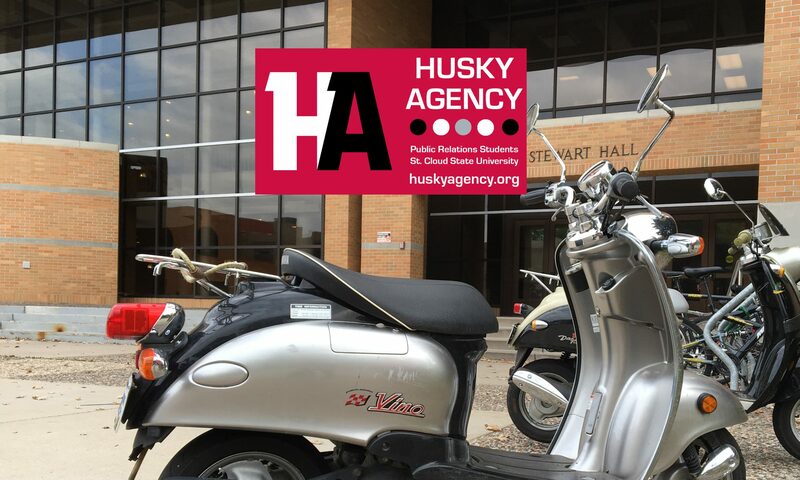 Clients – Each academic semester clients are selected by Husky Agency. Prospective clients must submit a proposal application to be considered. Social Media – Husky Agency is currently using four social media platforms: Facebook, Instagram, Twitter and YouTube. A media kit is available online. Participation – All agency positions are currently students in Public Relations Cases and Campaign course, COMM 438/538 and will also include students taking Public Relations Writing, COMM 436/536 in Spring 2017. All participants make a formal application with a resume, letter of interest and professional work samples for agency positions. About St. Cloud State University – St. Cloud State University, founded in 1869, is a public university in Minnesota with more than 15,000 students, located on the banks of the Mississippi River. To learn more about St. Cloud State University, please go to stcloudstate.edu. If you need additional information please contact Assistant Professor Jannet Walsh, Department of Mass Communications at St. Cloud State University at 320-308-5258 or jlwalsh1@stcloudstate.edu. This fact sheet was created by Husky Agency Social Media Specialists Jonathan Wong, Rachel Nyberg and Jesus Escarsega in Fall 2016 as part of their public relations work.